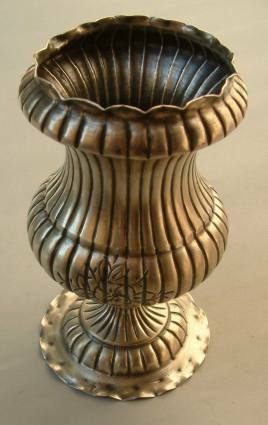 this is a silver vase of scroll shape with spread foot, fluted embossing and floral engraving. 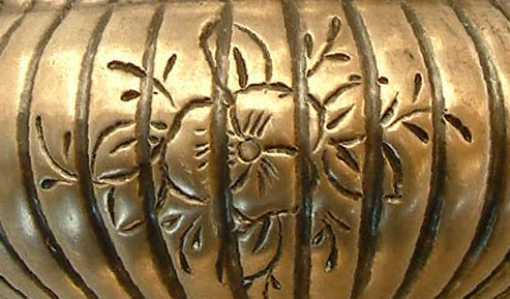 The vase is marked 800 (purity degree 800/1000 used in Continental silver) and silversmith's hallmark. It is 6 1/4 in. 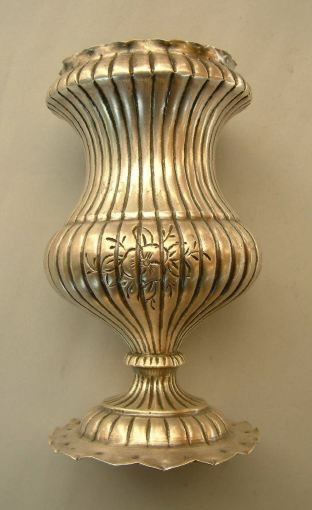 tall (cm.16) and was bought from a Italian dealer in an Antique Market.